Ridge family, don’t forget to have your family devotion this week! 13 Planted in the house of the LORD, they THRIVE in the courts of our God. Psalms is an Old Testament book that contains a collection of songs and poems written by King David. He describes how people who are involved in the things of God, in the house of God and with the people of God are planted, flourishing and putting down deep roots. David explains that these people will be healthy, fruitful and satisfied their whole life. God wants his people to Thrive by being connected to him and others! What groups do you enjoy being a part of? Why? What groups at church do you enjoy being in? What groups would you like to see more of at church? How can life be better with God and others than all alone? How could a group of people who love God help someone better that one person alone? THRIVE CHALLENGE: Ask the Lord today how He would have you use your gifts and talents at church. Think about how God wants you to connect through participating in Growth Groups, and serving. THRIVE CHALLENGE: Join us for the celebration service June 5th to celebrate our victories from our 28-day THRIVE Challenge and give our THRIVE offering to the Lord. 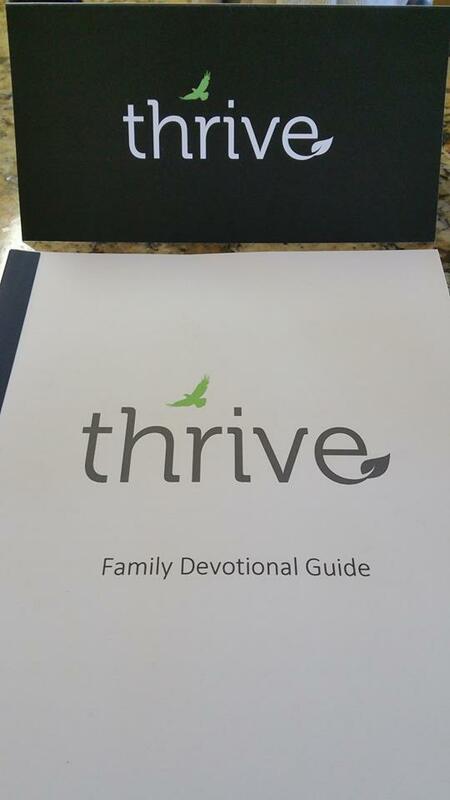 This entry was posted in THRIVE and tagged family devotion, groups, THRIVE. Bookmark the permalink.